Much is said about mental health in this day and age, however, I would like mental illness to be considered as well as the difference between the two. Mental health is extremely important and there is no doubt we can all do more to have better mental health. But for those who experience a mental illness, there are services in South Australia to assist and treat you. Just as in physical illness, looking after yourself will always be of great value, but sometimes you just get sick. No fault of your own. Sometimes I think that the boundary between mental health and mental illness gets blurred and people forget they are two different areas. Having good mental health will assist you in living a more content and productive life, but having a mental illness does not necessarily mean you cannot do the same. The concept of recovery plays into this area, with recovery not always meaning returning exactly as you were before an illness, but living a meaningful life to the best of your ability and to your capabilities. I have been working in the private psychiatric hospital space for over 30 years and have seen much improvement in the stigma of mental illness. It has always intrigued me that no-one has an issue with someone having a chronic debilitating physical illness but for some reason, cannot align the same values to a mental illness. I have never met anyone who wanted to have a mental illness. Luckily today, the concepts are far more widely recognised, accepted and appreciated. We must continue to encourage our young people to engage in activities to promote their own Mental Health. Having good self-esteem, self-awareness and understanding how and why we think and do what we do is an invaluable lesson we all deserve. Understanding that every single one of us is of special value and deserving of good health should be inherent in every child. Sometimes things happen to us, but it is how we react and deal with these things that enable us to continue. With a mental illness, sometimes acknowledging there is a problem is the hardest initial step to take. On occasion it may be someone close to you has to point out the issues. Either way, know that seeing a qualified professional at that time is the best thing to do. Know that if you need to be in hospital for assessment or treatment – that’s OK, just as it would be for a physical condition. These days much treatment is done out of hospital and it may be that treatment by your GP or Psychologist is enough to get you through. However if you need referral to a specialist i.e. a psychiatrist and are admitted to hospital, know that it is for a reason. People are not admitted to hospital for no reason. Health Professionals are very aware of the pressure on beds/places in hospital and the patient preference to be treated in the home whenever it is safe to do so. I worry that there is just a little too much emphasis on mental health these days that may well minimise the reality of mental illness. I believe both areas to be of significant importance and if you do suffer from a mental illness, know that there is help and treatment available. Carol Turnbull is the CEO for Ramsay Health Care (SA) Mental Health Services in South Australia, a position she has held since 2003. Prior to 2003, she worked with Ramsay Health Care as a Director of Clinical Services for eight years. 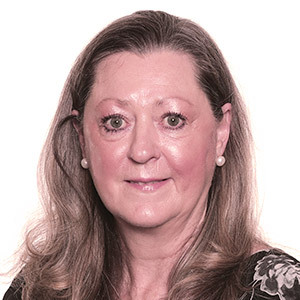 Carol has been involved in health and psychiatric services for over 25 years and is a Registered General Nurse, Registered Mental Health Nurse, CPMgr (Certified Practising Manager – Grad Dip in Management Practices 1996) and is a member of the APHA Psychiatric Committee and a founding member of the SA branch of the Mental Health Foundation. Carol is also a Graduate of the Australian Institute of Company Directors. Within Ramsay Health Care, Carol sits on the National Clinical Governance Committee and RHC Mental Health Leadership Committees. Carol also spent two years as an elected Councillor for Unley Council (1991–1993) before living in London for two years (1993–1995). Carol believes that the private hospital sector is an integral part of the mental health system in Australia and should be represented as such. 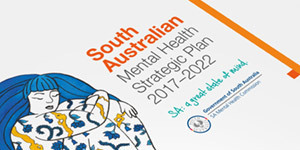 Under her management the South Australian private mental health sector has grown to include the full continuum of care, whether that care is delivered in a hospital or at home. The SAMHC presents our series of guest featured bloggers who generously share their personal thoughts and experiences of mental health and wellbeing.